My wife and I are writing to express our support for the election of Moe Hickey to the Park City School Board. The challenges facing our district deserve someone of his integrity, experience and passion. Since moving here six years ago, Moe has continued to impress us with his leadership and innovative thinking by facilitating programs such as Pre-K, PC CAPS and Latinos in Action, among many others. Serving with him on the Park City Education Foundation board provided countless opportunities to observe first-hand all that he has to offer this community and our students. We urge those in PCSD District 3 to support his return to the Board. “Gentleman’s Agreement” was a 1947 movie about anti-Semitism. In the picture (which won a best direction Oscar for Elia Kazan), Gregory Peck played an investigative reporter who pretended to be Jewish in order to learn about the hidden discrimination practiced by members of polite society against members of that faith. For the past 70 years, intelligent people have regarded anything called a “gentleman’s agreement” as it was portrayed in that film, a sleazy backroom deal. I’m deliberately not naming the public officials who might have been involved in this unethical negotiation, but I take pride in saying that I intend to vote for Glenn Wright. Glenn is decent, intelligent, and independent. He is a combat veteran of Vietnam, and has served the community in a variety of roles over the years. He is a true gentleman and not, I suspect, a party to the backroom deal to which the other candidate referred. To the extent that the East Side needs representation on the Council, Doug Clyde is the right man. Here is a student perspective: Simply put, Moe Hickey is a champion for kids. From the time I was a freshman to the day I graduated, my experience in the Park City School District was positively influenced by Mr. Moe Hickey. How often do we see school board members actually in our schools, talking with students and teachers, interacting with us to see what we need? Mr. Hickey did just that. He spoke in several of my classes over the years. He helped several of my teachers raise money for projects by putting them in touch with community members who could help. He was always willing to offer insight and encourage us to be active in the community and within our school. He was present and involved. Being a father of two PCHS students, he has an inherent interest in student achievement, student access, and equity in our schools. Mr, Hickey is an advocate for high-quality education FOR ALL, and he has an acute understanding as to how to make our schools better. I saw it first-hand. I was there when he spoke to my teachers about making sure that all students have access to the amazing programs offered by the Park City Institute. I was there when he asked another teacher about kids who might need assistance with meals over Thanksgiving. I was there when he invited struggling students to access free tutoring, and I was there when he helped our counselors to put warm coats on kids who could not afford winter clothing. He does these things because he cares about us, and he involves the Park City community in all his outreach. It does take a village. It takes a village with strong leadership, and Mr. Hickey, if elected to the Pak City School Board, will help to lead our district with compassion and commitment. A vote for him is a vote for us. With the current issues facing the children of Park City, Petra Butler is the best choice for school board. She is a devoted mother who is committed to utilizing her professional skills acquired during her 25-year career as a federal law enforcement agent to serve the children of Park City. Petra spent the majority of her career protecting children and has witnessed firsthand the challenges and threats facing children in today’s academic environment. She has the training and experience to help them overcome obstacles and succeed. She is dedicated to reaching out to meet the needs of all children and opening doors to address issues outside of school that are hampering their academic progress. With investigative and supervisory experience both nationally and internationally, Petra has honed her ability to rally people together toward common goals. Her approach is analytical, direct, transparent, and objective. My statements are based on knowing and working with Petra since the mid 1990s as a teammate on the FBI Evidence Response Team in Los Angeles where we investigated violent crimes and responded to the Pentagon after the 9/11 attacks, as a colleague and supervisor fighting online predators of children, and as a friend. Park City needs someone who is in touch with children and who will work selflessly, tirelessly, and competently in the children’s best interest. Petra Butler is that person. I had a telling experience with Council candidate Doug Clyde 16 years ago leaving me with tremendous respect for him. Doug was managing the planning and redevelopment of Park City Mountain Resort's (PCMR) base area. His work included the completed Marriott Mountainside Hotel and the Legacy Lodge as well as planning and entitling the still-to-be-built joint city-ski area parking structure and a second base area. Please excuse the history, but it helps explain how Doug acts when the chips are down. After my brother and I opened The Corner Store in 1974 under a lease with PCMR's predecessors that owner sought to 'adjust' our property rights. This 'colored' my property rights as subsequent PCMR owners occasionally and unsuccessfully challenged The Corner Store's rights. Today my son, Max Doilney, owns and operates The Corner Store and many see The Corner Store operation as a vestige of the bygone era when local people, not just huge corporations, gave our town heart. Enter Doug. PCMR's Legacy Lodge, as originally planned, would have towered over and shadowed The Corner Store, substantially diminishing its value. I negotiated with PCMR through Doug. I agreed to testify at planning hearings supporting PCMR's plan after it was changed to reduce the shadowing. PCMR promised to formally drop the property rights claims it had unsuccessfully pursued for decades. As the Legacy building was nearing completion PCMR fired Doug. PCMR gave Doug a generous severance package in exchange for him never doing or saying anything without PCMR's blessing … like a judge's gag order. Later I asked PCMR's management for the promised recordable document. PCMR refused. When I asked Doug for help, he explained his 'gag order', noting that he'd risk his severance package by supporting the deal that we made. Shortly thereafter PCMR recovered its memory and executed the agreed document. I have great respect for Colin DeFord and suspect he'd have behaved as Doug had, but I have no way of knowing. Our community has a rare chance to elect someone, Doug Clyde, who has demonstrated character under fire. Perhaps in a future election, I'd support Colin. Let's not miss this chance to grab Doug. Your local vote can make a huge difference for our entire community. Let's NOT re-elect someone for school board, rather get a new perspective and direction. 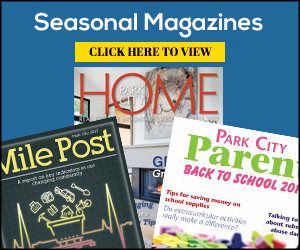 The Park City School District at one time was one of the best, most desirable districts in the state. In recent years it has not reflected the community's dedication and voiced direction. Many parents, frustrated and who are financially able, are seeking alternatives and are enrolling their kids in other schools. I know from personal conversations how disempowered and demoralized many teachers are feeling. We have fabulous, skilled educators who need our support. We have a community, dedicated to excellence in education that cries out to be heard. That means we need fresh leadership. Electing School Board members who have new ideas and collaborative skills will give us a chance to tap into our potential and bring our schools back up to the level of excellence we know is possible. Petra Butler has the skills, as well as the knowledge and energy, to turn this district around. Hand the baton to someone new. Vote for Petra Butler for School Board for District 3. Since my husband Roger and I moved here almost 12 years ago I have been amazed at the magnitude of services provided to our community by the nonprofit organizations in Park City. I am overwhelmed with gratitude to be part of a community that does so much good, every day. When members of the Park City community do not have health insurance, the People's Health Clinic offers a critical safety net, when someone is being abused; they have a safe place to go in Peace House. When we find or lose a pet there is Nuzzles or Paws, if you need a place to take your recyclables … and 100 other great examples. We are incredibly lucky to live in a place that gives back and takes care of its own. This Nov. 4, Park City Community Foundation will once again be holding Live PC Give PC. This is a day you are given the opportunity to give back to all those organizations that touch each of our lives. I'm going to be supporting as many of these organizations as I can, I hope you will consider doing the same. Your donation on Nov. 4 assures our ability to continue to provide excellent services in our community. Your generous donation during Live PC Give PC allows you to stand with incredible volunteer organizations to touch the lives of those who use their services. Your donation is helping to make our community healthier, safer and happier. Right here. Right now. On behalf of the People's Health Clinic and our dedicated volunteer healthcare professionals, thank you for your generous partnership and support. Give new candidates a chance to clean up the mess in D.C.
Why do we have a huge and growing national debt, but we can't we close corporate loopholes, and reform our dysfunctional tax code? Why can't we fix immigration laws that leave 11 million people in the legal shadows, break up families, and force U.S. educated PhDs to go back home and start businesses that compete with us? Why do federally guaranteed college loans saddle our children with crippling debt at 7 percent interest, or keep them from getting the education needed to succeed, while making a ton of risk-free money for Wall Street? Why don't we try to reduce pollution, and become the world leader in the new industry of sustainable energy — in case all those scientists are right about climate change? Why, after the Affordable Care Act (aka Obamacare) reduced health cost increases to a modest 2-5 percent in its first two years, have those cost begun to soar at 10 percent/yr. again? Why can't we get even simple, commons-sense gun laws passed? Why, if Congress has a 10 percent approval rating, do we keep reelecting the same people who created that mess in the first place? Answer: Because the people with most of the money in America, multi-national corporations, carbon-fuel, and petrochemical companies, huge Wall Street banks, weapons manufacturers, and giant health care and pharmaceutical companies want it that way. And they spend millions of dollars annually litigating, lobbying, and buying elections to get what they want. How can We the People of America begin to change it? Answer: Whenever you find well-qualified new candidates, vote for them. No one owns them yet. Hint – Doug Owens, Peter Clemens and Charlene Albarron, and Stephen Tryon are all smart people, of great character, with no big corporate ties. It would be a start. It is with great conviction that I publicly endorse Petra Butler for the Park City School Board. I have personally known Petra for many years. As a parent, friend, and government employee (retired) she steadfastly governs her life staying true to such core values as loyalty, duty, respect, selfless service, honor, integrity, and courage. Her very different and unparalleled work experience will only lend itself to enhancing the effectiveness of our school board. As well, her steadfast dedication to the community, interpersonal skills, managerial skills, and leadership skills distinguish her as someone who is well equipped to serve as an agent for positive growth in our school board. Videos of kittens, koala belly rubs, cracker-eating hedgehogs; none of the standard happy distractions have been strong enough to balance out the negativity of this year's political circus. That is, until I realized that Live PC Give PC is just around the corner. In fact, it is Friday, Nov. 4, right before Election Day; so you can focus all of your attention on the positivity in our community as opposed to the negativity that permeates the media. One surefire way to combat negativity is gratitude. Gratitude is the quality of being thankful; readiness to show appreciation for and to return kindness. Live PC Give PC has tangible positive energy. You can see it in the volunteers dancing around in rain, sun or snow (hopefully snow) on Friday. The town is painted orange to remind us not of pumpkin spiced lattes, but rather that this is the day that we as a community can stop and show gratitude to the 94 participating organizations which positively affect our lives the other 364 days of the year. Each of the organizations represented have an impact on some or all of us living, working, playing, and raising our families in Park City (and Summit County). Between now and Nov. 4, I ask you to have a conversation with your friends, your kids, your family and others about gratitude. Gratitude for the good fortune of living in such a beautiful corner of the world. Gratitude for those working behind the scenes who positively impact our community and our lives. Please join me on Nov. 4 online at http://www.livepcgivepc.com and that evening at High West to share in this day of positivity and gratitude.